About 10 years ago, I spent almost two hours on the phone on a Sunday morning calling the reservations hotline for Yosemite National Park, trying to score campsites in Yosemite for our summer vacation. After 2 or 3 rings, I would hear a pre-recorded message stating that all phone lines were busy, and asking would I please call back. So I called back, hundreds of times, and about 2 hours later, I finally reached a live person. Amazingly, there were two shaded campsites available next to each other with an amazing view of Half Dome and we enjoyed a great vacation. Today, the process is not so tedious thanks to the wonders of the internet. But the disappointments and the thrill of victory that comes when you score campsites in Yosemite can hold the same keen excitement and can create an amazing sense of competition as it had in the past. It’s not too early to start thinking about summer plans, and it’s important to get the information you need in order to make reservations for the more crowded National Parks. Many of them have campsites that fill quickly with reservations on the first day they are opened. Here’s the information you need in order to plan for your summer and get the reservations you desire. Staying in the campgrounds of the Yosemite Valley is absolutely amazing because of the wonderful 360-degree views of waterfalls, cliffs, pine trees, and Half Dome. The Merced River flows nearby, offering spots for fishing, swimming, and rafting. Millions of visitors come to the valley every year and the campsites fill up quickly. Visit www.recreation.gov and search for the campgrounds of Yosemite. Research the sites and make a list of your favorites before the 15th of the month. For example, if you want to camp from July 24-27, you should start your research before March 15. You can read reviews of all the best camping spots on Trekaroo to get the insider’s scoop. Set your computer clock to the accurate time by visiting www.time.gov/. Load up www.recreation.gov and www.time.gov before 7am on the 15th of the month, 5 months before the dates you want to reserve. Be ready to click on the “reserve now” button at exactly 7am. For example, if you want to camp from July 24-27, you would be ready on the morning of March 15. Consider only spending 3 or so nights in the valley. Trying to book 2-3 nights is not as difficult as 1 week. Have “back up” options for campsites to choose if your first choice is not available. Be patient and have a sense of humor. You will most likely be able to book a campsite, but it may not be your first choice, or for the specific length of time you were hoping. If your best attempts to score campsites in Yosemite Valley fail, there are several “first-come, first-served” campgrounds in the surrounding area. 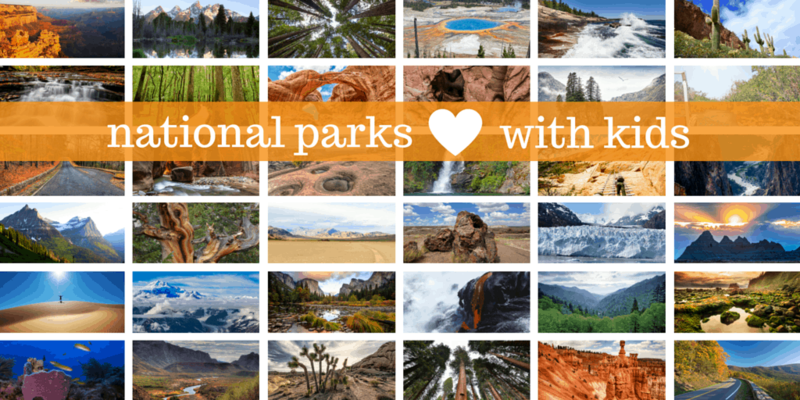 Trekaroo families have enjoyed White Wolf, Bridalveil Creek, and Tuolumne Meadows. Curious if Yosemite is worth all this hassle?? Check out what other Trekaroo users have to say about it. The great wilderness, deep canyons, roaring waterfalls, and unique geysers of Yellowstone make this one of the most visited National Parks. 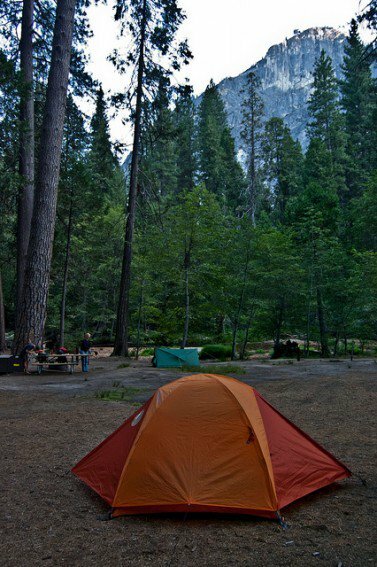 Thanks to the variety of the terrain and twelve campgrounds, there are almost 2,000 spots to pitch a tent, which makes securing a site less competitive than Yosemite Valley. Reservations can be made for the campsites of Bridge Bay, Canyon, Fishing Bridge RV Park, Grant Village, and Madison. Online reservations can be made at www.YellowstoneNationalParkLodges.com or by calling 1-866-GEYSERLAND. There are also several first-come, first-served campsites in Yellowstone, which Trekaroo families have enjoyed and have even been called a “Diamond in the Rough.” Check out Tower Fall, Mammoth, and Lewis Lake. You can make campground reservations on May 1 of the previous year. Show up to the “first-come, first served” campsites early in the morning before checkout time (11am) to find an open spot. Watch for campers that are packing up, and request to reserve their spots with the camp hosts. Carry cash (with $1 bills or a checkbook). Some campgrounds only have self-serve fee stations. Take note: Fishing Bridge RV Park is not a campground. This is definitely only an RV Park where units are lined up, very closely and hooked up to power and water. There are also no site picnic tables or fire pits. It is for hard-side vehicles only and offers water, sewer and electrical hookups-50 amp service. Geysers, Waterfalls and what?? Learn more about Yellowstone & the fun activities it offers. There are two campgrounds in Grand Canyon National Park that can be reserved and are located on each rim. 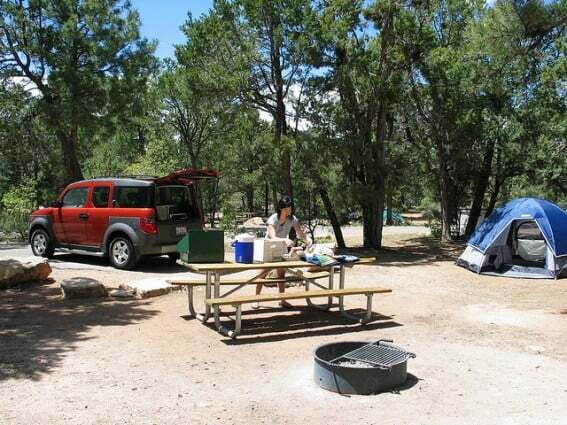 The South Rim campground, Mather Campground, is located next to the Grand Canyon Village. It can fill up quickly because the South Rim is very popular. North Rim Campground is at a higher elevation and less crowded because it’s harder to get to the North Rim area of the Grand Canyon. Campsites near the edge of the canyon can be reserved and go quickly. I would imagine that most families would not want to camp so close to the edge with small children. Reservations for Mather and North Rim Campgrounds can be made up to 6 months in advance. Plan on making reservations online at www.recreation.gov or by calling 1-877-444-6777 in January and February for summer camping because they fill up fast! 26 miles east of Grand Canyon Village is Desert View Campground, which is a first-come, first-served campsite. Located close to the rim, this campsite provides excellent views and access to trail heads. Sites are usually full by early afternoon during the summer months so arrive early to find a spot. Heading to the Grand Canyon? Check out this list on family-friendly activities. 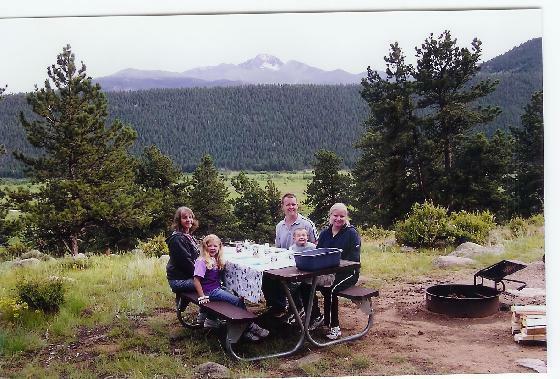 My family and I have not been able to visit Rocky Mountain National Park. But looking at pictures of campsites nestled in tall grass with a backdrop of sharp mountain peaks covered in snow elicits quite a pang of longing in my heart! Reservations for summer camping in Moraine Park, Glacier Basin, and Aspenglen can be made up to six months in advance at www.recreation.gov or at 877-444-6777. These campsites seem surrounded by rivers, hiking trails, and great views. Other first-come, first-served campgrounds are Longs Peak and Timber Creek. Make reservations up to 6 months in advance for Moraine Park and Aspenglen at www.recreation.gov. Arrive early in the day to find available spots at Longs Peak or Timber Creek. Carry cash (with $1 bills or a checkbook). Some of the campgrounds only have self-serve fee stations. Be prepared for cooler weather in the high elevations of this park. Bring plenty of warm blankets and clothes and dress in layers. 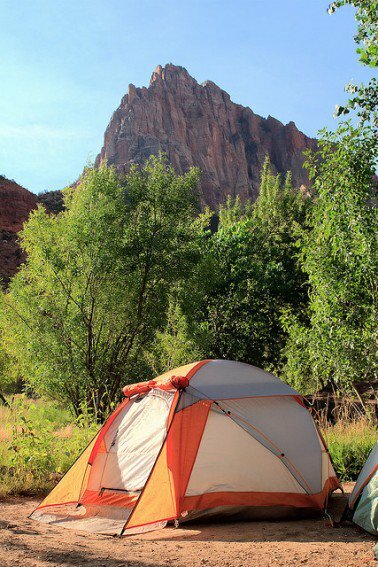 Camping at Zion National Park is very popular with summer guests. The campgrounds are full every night, so reservations at Watchman Campground are recommended. First-come, first-served sites are available at South Campground. Both campgrounds are located within ½ mile of the entrance gate to Zion. These campgrounds are located in desert conditions with few trees and lots of summer heat. 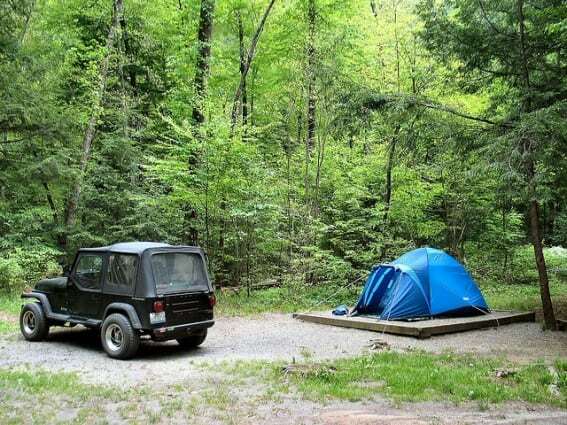 Make reservations up to 6 months in advance for Watchman Campground at www.recreation.gov or by calling 877-444-6777 . Arrive early in the day to find available spots at South Campground. Carry cash, including $1, or checks to pay at the self-registration centers at each campground. Prepare for hot summer camping by bringing lots of fluids, “Easy-Up” type shade structures, and cooling activities for your kids such as spray water bottles, sponges and other fun things. Inner-tube on the Virgin River (you can rent tubes). Hike in the park through lots of beautiful locations close to the shuttle stops or longer hikes into the canyon. Play in the river in the park where there are shallower spots and it is safer to play. Have your kids participate in the Junior Ranger program. Get ice cream at the snack shop in the park. Enjoy some cool time at the Visitor’s Center and gift shop. Been to Zion? Share your review with other Trekaroo users. America’s “Most Visited National Park” is the Great Smoky Mountains. Families come here to “car camp,” fish, and picnic while viewing wildlife, beauty, and history at every turn. Campgrounds are scattered throughout the park on both the Tennessee and North Carolina sides. Campsites at Cades Cove, Cataloochee, Cosby, Elkmont, and Smokemont may be reserved online at www.recreation.gov or by phone at (877) 444-6777. 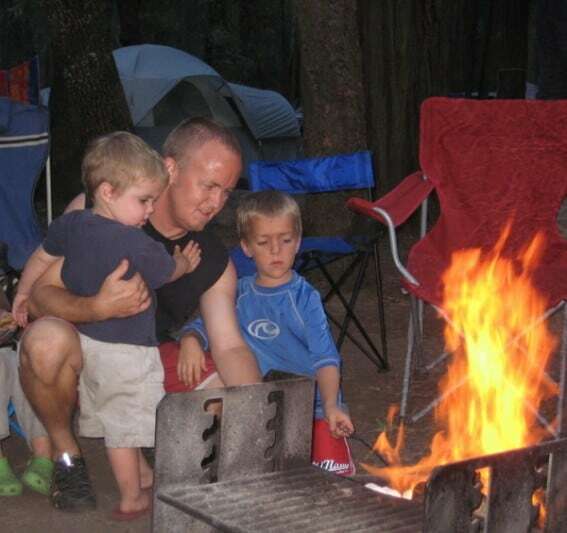 There are many other park campgrounds that are first-come, first-served. There are group sites available at the previously mentioned campgrounds, plus Big Creek Campground and Deep Creek Campground. Make reservations up to 6 months in advance for Cades Cove, Cataloochee, Cosby, Elkmont, and Smokemont at www.recreation.gov. Arrive early in the day to find available spots at other first-come, first-served campsites. Heading to the Smokey Mountains? Check out what other users have to say. No matter where you pitch your tent this summer, make sure to gaze at the stars, roast marshmallows on the fire, and enjoy the beauty of nature with your family. Campgrounds are where some of my family’s best memories have been formed. Great post. So comprehensive and informative. Fabulous photos too! ok I have to share this with a few folsk I know :)) thx! So helpful…now I just have to convince my husband that camping is fun! I was a girl scout, so I know it is, but he’s not there yet! Great tips! Camping is a lot of fun — we used to go camping every year when my boys were much younger. THANKS SO MUCH! I’ve been trying to get the family to go camping and this is so helpful to know. You don’t always think about campgrounds running out of space, but reservations are important just like if you were staying in a hotel! Only certain parts of the parks are open to campers and you don’t want to be stuck with not where to pitch a tent for the night.